Capt. Steve Wilkins is originally from Oxford, NC. He attended NC State University and began his law enforcement career with Cary PD in 1996. Capt. 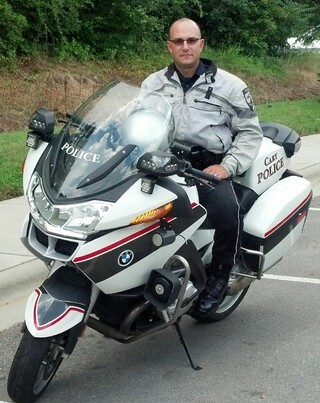 Wilkins served as a Motor Officer with Cary's Traffic Safety Team from 2001-2006 and as Cary's Traffic Safety Team Commander from 2013-2016. Capt. Wilkins currently serves as District-Three Commander in Cary's Field Operations Bureau.